Paul Smith Unveils New Line | Definitive Touch - Men's Contemporary Style. British fashion designer Paul Smith has unveiled his latest collection complete with shoes (for women) and some luggage options. 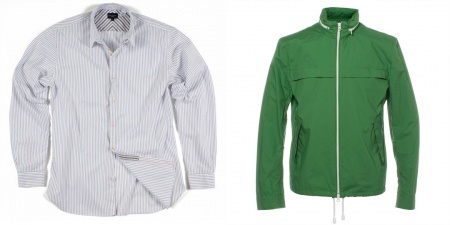 Top of the list are the green cotton cagoule and fitted long sleeve striped shirt as shown above. Good clean lines, modern design and quality fabrics put Paul Smith ahead of the pack.